Explore the Ethereum ecosystem step by step with extensive theory, labs, and live use cases. This book takes you through BlockChain concepts; decentralized applications; Ethereum’s architecture; Solidity smart contract programming with examples; and testing, debugging, and deploying smart contracts on your local machine and on the cloud. You’ll cover best practices for writing contracts with ample examples to allow you to write high-quality contracts with optimal usage of fuel. 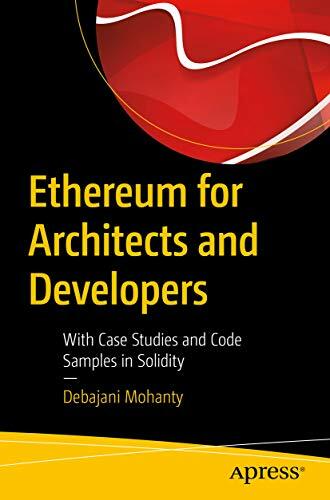 In later chapters, Ethereum for Architects and Developers covers use cases from different business areas, such as finance, travel, supply-chain, insurance, and land registry. Many of these sectors are explained with flowcharts, diagrams, and sample code that you can refer to and further enhance in live projects.